Watch as Heidi Bayer, the mother of a 16-year-old girl with food allergies shares how she worked with her daughter to raise awareness that has helped to limit accidental exposures and emergency room visits. This is such a great and important idea. Our daughter's preschool asked for allergy information on the original sign up sheet, but when we went in for a sit down conversation there was so much more to cover than was on that questionnaire. I think everyone should have an allergy action plan with their child's school that is as detailed and explanatory as an IEP would be. 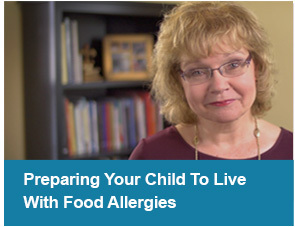 Heidi Bayer, board member of the Asthma and Allergy Foundation of America, and chair of the KFA Board of Advisors, shares some important tips on how to create an effective anaphylaxis action plan that focuses on avoiding allergen exposures. 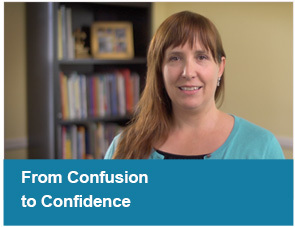 Watch this video as Heidi shares the following tips that have worked to help keep her daughter safe. Keep epinephrine auto-injectors nearby at all times and train anyone responsibile for your child. Maintain a regular dialogue with any adults responsible for your child. Educate and involve your child at an early age.